The ‘Faux Hawk’ is a fabulous hair trend that is sweeping the world by storm – it’s so fashionable, so versatile and it looks simply incredible for both men and women. There are so many ways to work a fabulous faux hawk into your look; a style which is longer on the top in a line from the front of the head to the back, and shorter on the back and the sides. Here are some of our favourite faux hawk looks for men, which are guaranteed to ensure you have a hair cut which is totally on trend. Let the Styles Weekly gallery inspire you. This fashionable guy has clearly been to an excellent barber, because the fade from his faux hawk down to his ear line is simply flawless! The sides and the back of his head are shaved incredibly closely to the head, and it fades up to a wonderful thick layer on top of the head which flicks up into a fabulous quiff that blends back to a faux hawk style. A faux hawk style is every bit as easily achievable if you have curly or straight hair, as this impeccably fashionable man proves! 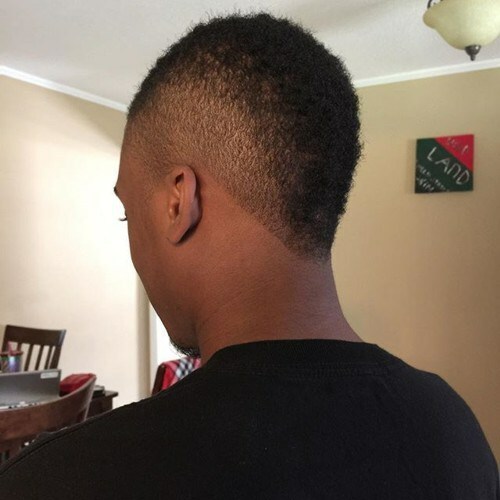 He’s fully committed to the faux hawk effect, by shaving his head into the faux hawk style from the front to the back of the head, blending the sides out perfectly and showing off his super cool natural curls that we think look amazing. If you’ve got lovely dark hair then the best way to show it off is by working an incredible faux hawk style into it – it’s super stylish and so on trend too! 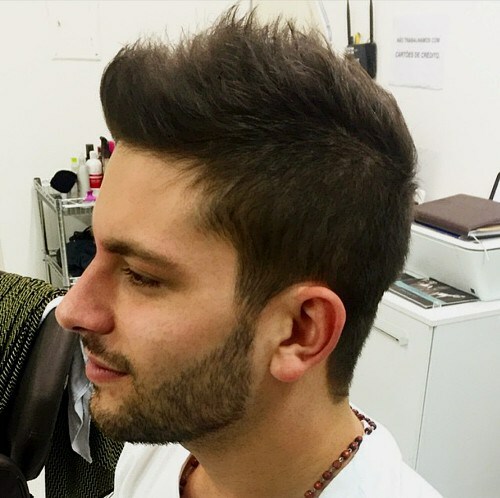 This gentleman’s hair is ever so slightly longer on top, but he’s gelled it up into a quiff-style faux hawk from back to front and we think it looks utterly incredible – perfect for a day or a night look! 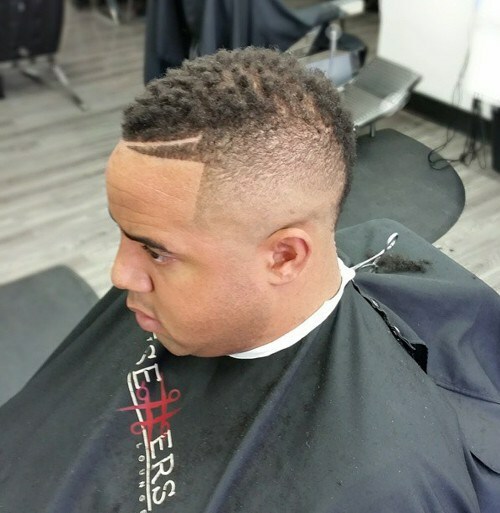 This incredible graduated style is yet again testament to the work of incredibly talented barbers, who have shaved this style to perfection – there isn’t a hair out of place! 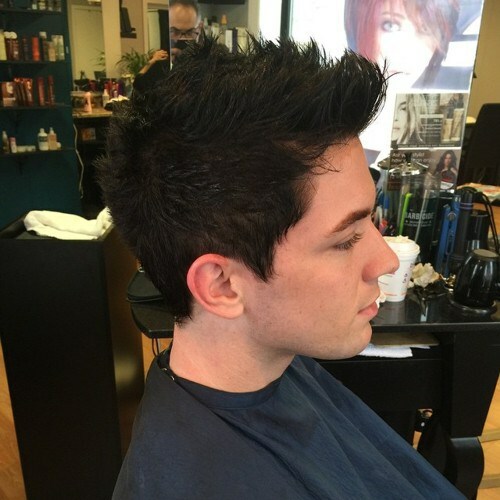 This guy’s lovely dark hair has been graduated from a close cut around the sides to a longer section on top, creating a super cool faux hawk effect that we just love. This gentleman is groomed to perfection, with his clean and pristine look finished off with a fabulous faux hawk that looks utterly impeccable! This gentleman’s hair forms a longer layer on top of the head, which he’s softly spiked from front to back to create a cool faux hawk look. His hair blends into his super stylish facial hair which is groomed immaculately. This handsome chap has perfected his faux hawk look in the most stylish and sleek manner that we ever did see, with a fabulous shaved back and sides working into a lovely longer glossy black layer towards the top, which forms an incredible faux hawk look. 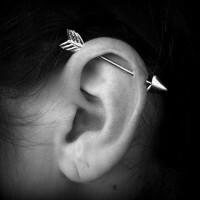 He’s spiked the longer section on top to create a cool look from front to back that we adore. This impeccably stylish gentleman is not only fashion-forward guy with his clothes and accessories, but with his incredibly stylish hair too! His hair is cut closely around the sides and the back in a lovely brown colour, and is then finished with a lovely long layer on the top which forms a big quiff-style faux hawk, which is dyed a more copper shade! We’re not sure what’s cooler in this picture – this handsome chap’s fantastic beard or his incredible hair! 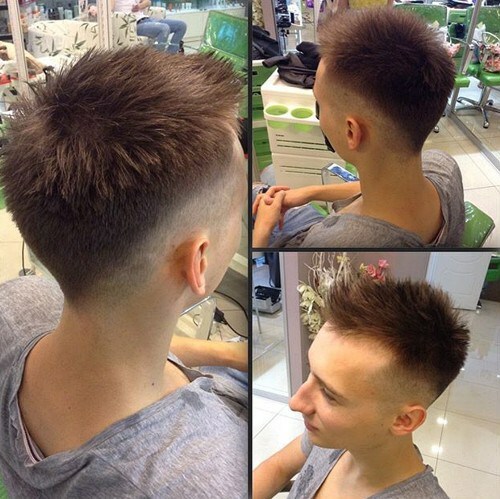 His lovely light brown hair has been finished with cool shaved lines which makes an edgy and fashion-forward finish. The longer, top layer of his hair has been swept back with gel to create the coolest faux hawk finish that we simply love. 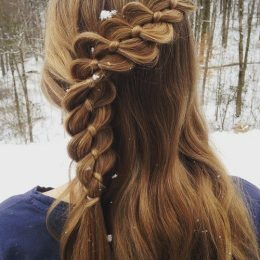 Why opt for one hair trend when you can work two fabulous trends into one incredible style? 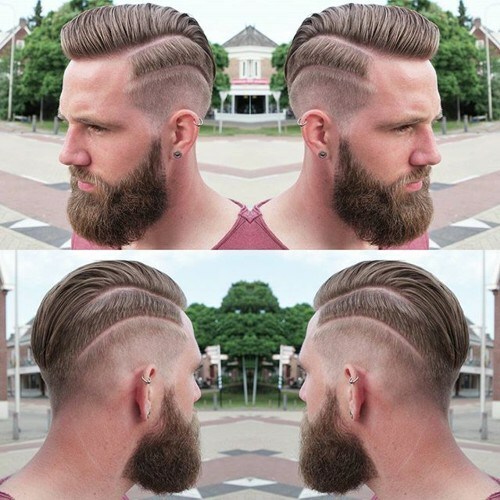 This trendy chap has opted for a super fashionable faux hawk finishes, which is shaped with a graduated line around the centre of the head to form the faux hawk shape. 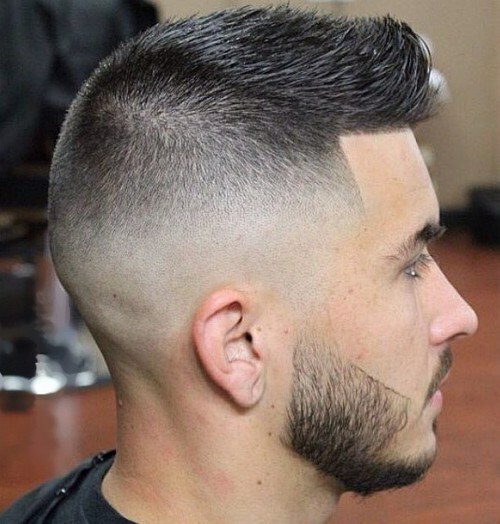 He’s also shaved a fine line towards the front of the head to create a cool and unique style. This fabulous and soft graduated faux hawk creates a look that is perfect for the day time, keeping the hair looking cool and stylish, as well as perfectly ready for a night time occasion or special event too! 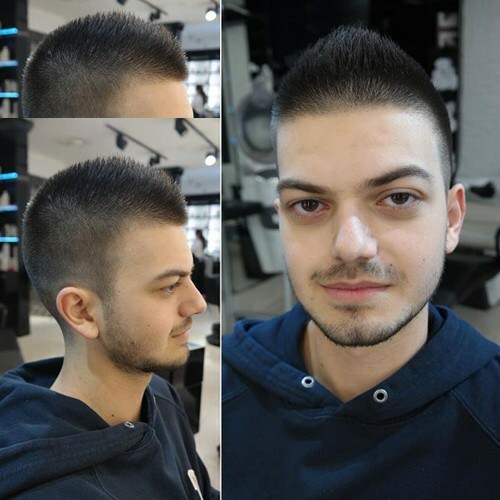 With a graduated faded shave from the sides to the top of the head where the hair falls in a soft quiff section towards the front of the head. A faux hawk can work in so many ways, but perhaps the most traditional is where the middle section of hair spikes in the centre to create a line from front to back, perfectly modelled by this incredibly stylish chap. His facial hair is as perfectly groomed as his hair, with a super cool moustache to match his remarkable faux hawk that is totally on trend. This fashionable man has perfectly groomed facial hair to match his fabulous faux hawk, that makes it look like he’s fresh from the catwalk! His copper hair blends fantastically from the sides up to a longer section at the top of the head, which is pushed forwards into a cool quiff faux hawk style. 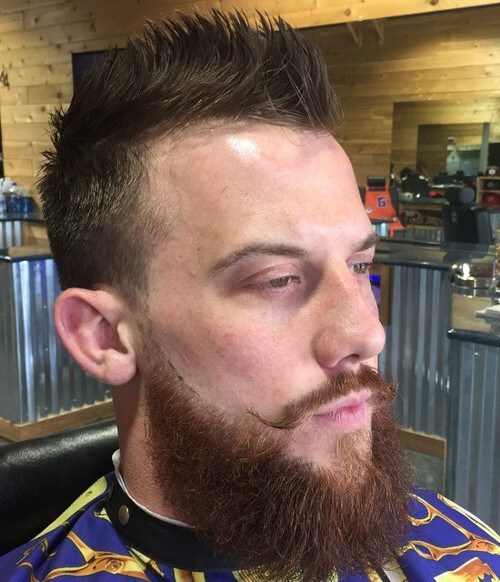 His bushy beard and moustache is the perfect finishing touch. 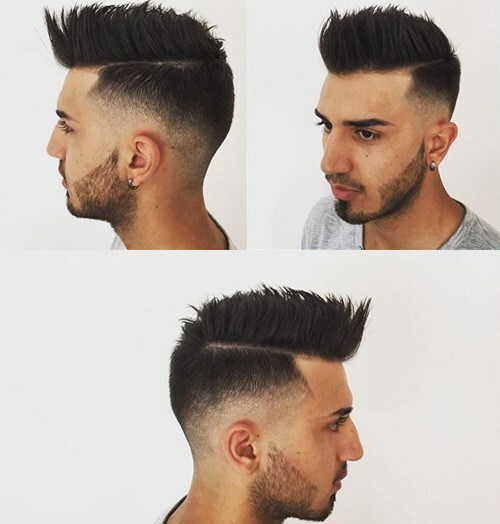 A faux hawk style need not be cropped closely to the head, even though it looks incredibly cool, but as this gentleman proves, it looks equally stylish with longer hair to create a longer faux hawk finish too! 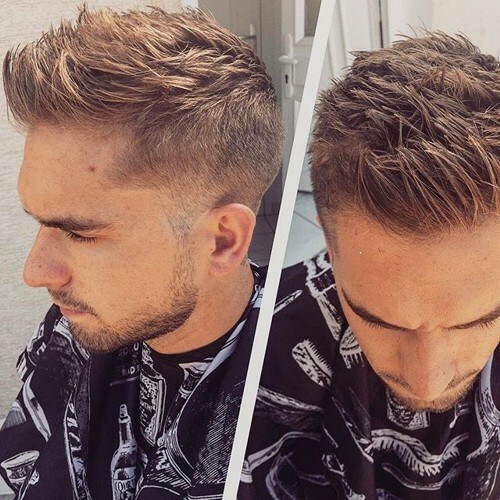 This man has cut the side layers close to the head, but the middle faux section is kept incredibly long and swept up into a gorgeous gel quiff style! This incredibly handsome chap has opted for a super cool faux hawk finish to match his perfectly groomed facial hair, and we think it looks just fantastic! 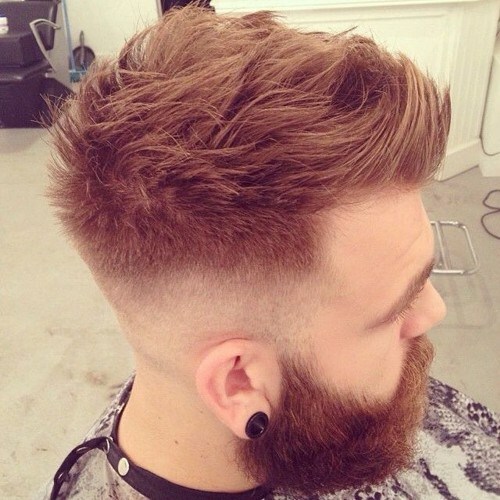 His beard and moustache is shaved perfectly to meet his hairline, which is cropped closely around the sides and the back of the head, and finished with a stylish blonde quiff style faux hawk. Even when your hair is curly, a faux hawk style still works perfectly – as is proved by this pretty stylish chap and his square facial hair. 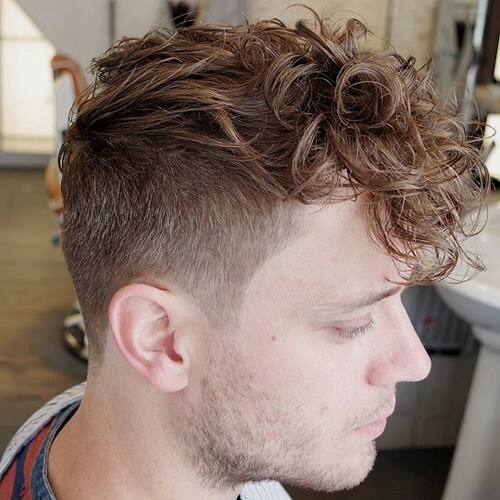 This chap has shaved the back and sides of his head for a close crop, and the top layer from the back to the front is left longer so that it can curl up and create this incredibly cool curly faux hawk style that we just adore! 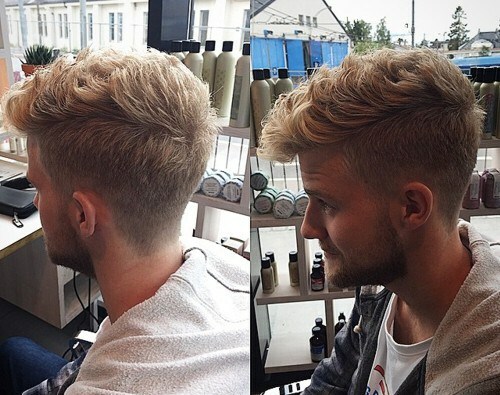 A cool faded style for the hair on the side of the head, a long and spiked up faux hawk section for the top of the head that goes from the back to the front, and some unique and fashionably groomed facial hair makes this chap arguably one of the most stylish we’ve ever seen! His hair is totally on trend and easy to maintain too – it’s a real win win! 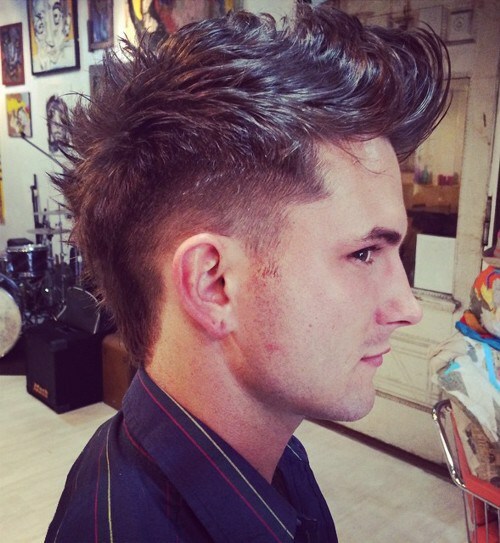 This gentleman has gone for a clean and classic faux hawk style which is simple and incredibly fashionable. 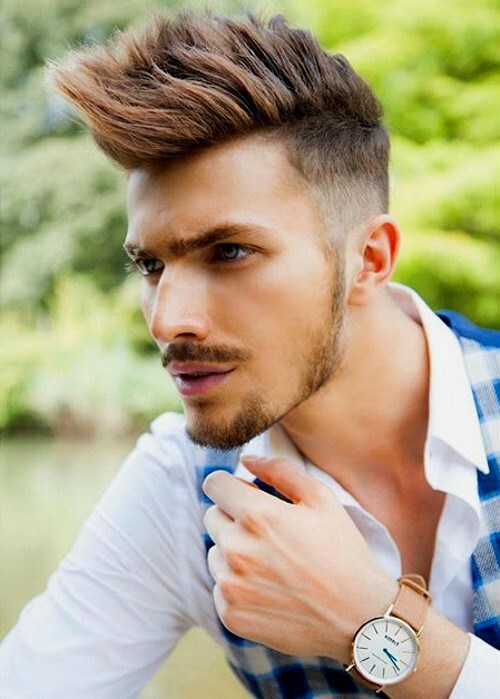 His light brown hair is cut closely around the back and sides, but is finished with a longer section on top which he’s spiked forwards to create a cool and contemporary quiff faux hawk finish to his impeccably style, that we just love. This closely cropped faux hawk hair style perfectly compliments this guy’s designer stubble, which is so incredible fashionable; we just love it. He’s opted for a cool and trendy hairstyle which is cropped closely to his head for the front, sides and back, creating a trendy finish. 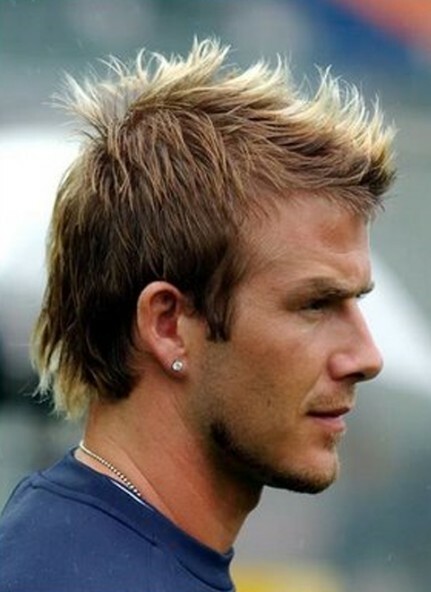 The top of the hair is worked into a soft faux hawk style that looks brilliant. 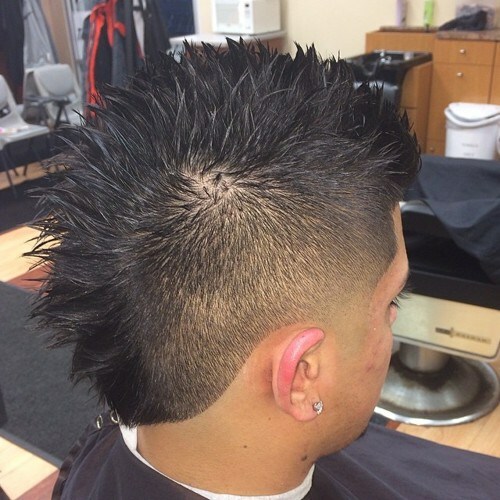 This fashionable fellow has taken his unique faux hawk style to the next level by opting for a cool and spiky gelled effect throughout the faux hawk section which is in the middle of the head, from the back to the front. 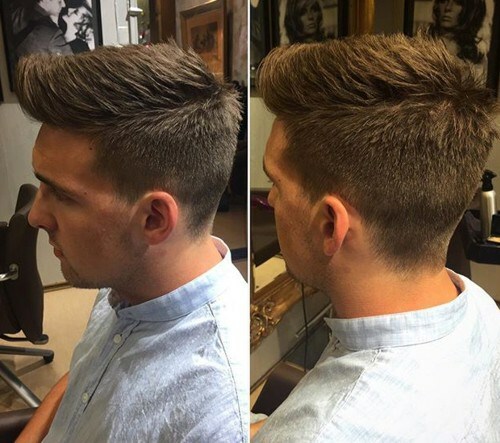 The rest of this hair style is faded to a cool, faded and closely cropped style on the sides which finishes the look off perfectly. 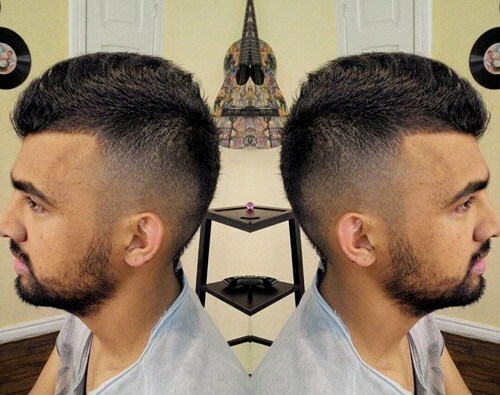 A perfectly styled faux hawk hair style goes hand in hand perfectly with groomed facial hair, and this gentleman has paired the two together in the perfect fashion, as we’re sure you’ll agree. 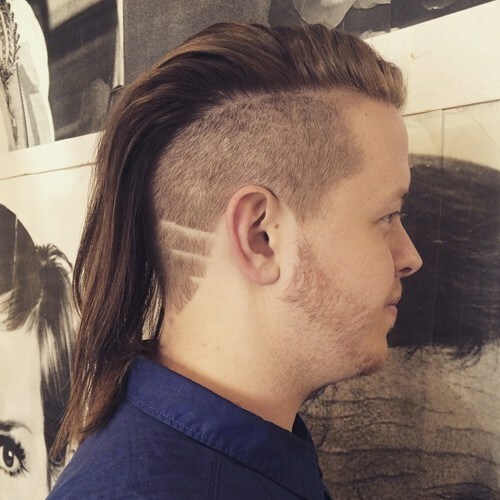 His facial has has been shaved into a unique style which is finished with a moustache, and his hair is graduated into a closely cropped back and sides, worked towards a cool faux hawk on the top. If you’re blessed with cool and fashionable naturally curly hair, then a faux hawk style is arguably one of the best ways to show it off! 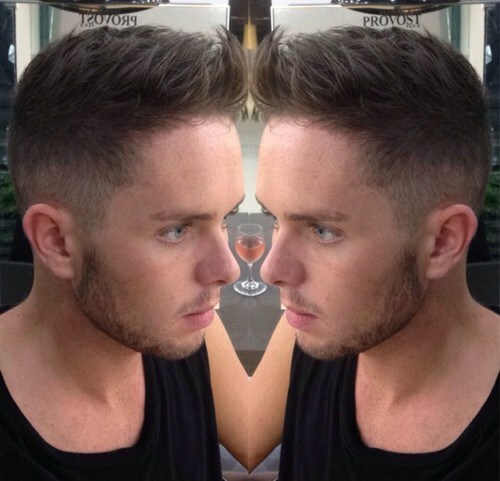 This chap has kept is natural curls on the top layer which is worked into a longer faux hawk style, and the back and sides of the cut are cropped closely to accentuate the faux hawk section in style. 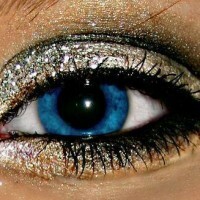 We just love this look, don’t you? This guy has taken the faux hawk look to the extreme in an incredibly bold and brave style, and we think it looks simply awesome! 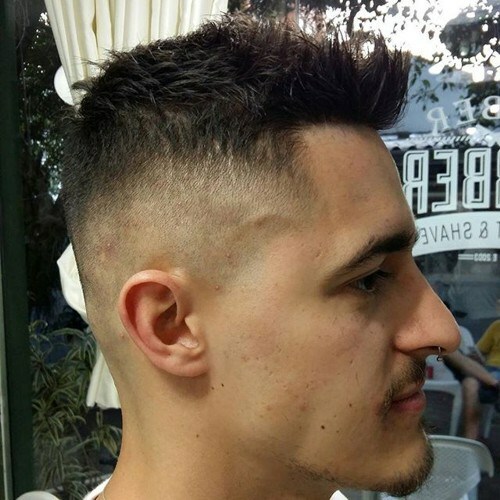 It’s a cool rock style that we can’t get enough of at the Styles Weekly office – especially because of the unique shaved stripes which work throughout the sides of the head. The longer section in the middle is finished in a fabulous longer faux hawk that we cannot get enough of! Faux hawk is a trend that is simply everywhere – but we hope with this gallery we have proved why; it is an incredibly stylish look that you can work with in a subtle or extravagant way – opting for a small faux hawk section or with longer hair too. Let Styles Weekly know which look is your favourite – and which hair styles for gentlemen you’d like us to look into!